Despicable. This will make your head spin my friends. This is the state of our Nation my friends. There are NO words. By February 20th, 2010, the Battle of Marjah had been underway for a week. 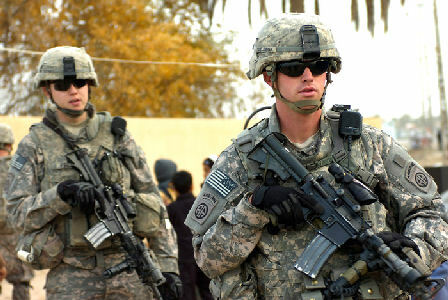 In order to seize the Afghan district—an IED-infested, Taliban-dominated collection of villages and crisscrossing canals and tree lines that were a defending fighter’s dream—the U.S. military had divided its force into thirds…. 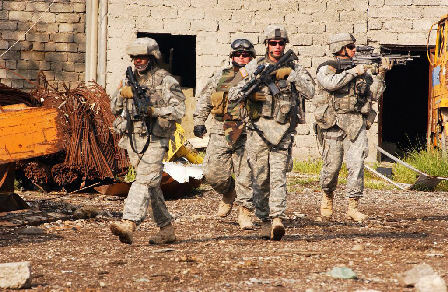 As the Special Forces soldiers wore Afghan Army uniforms, the Taliban concluded that there were virtually no Americans on their southern flank. The fighting there was intense. Having secured a defensive position in the heart of the Balakino Bazaar (picture the Bakara market in the film Black Hawk Down, but more impoverished) the Special Forces team, led by a captain named Matt Golsteyn, repeatedly attempted to expand their footprint, but regularly met fierce resistance. 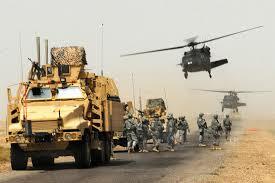 On the 20th, one of the team’s assaults into Taliban territory took a turn for the worse. An Afghan soldier was wounded and a vehicle got stuck in the mud as insurgents raked the coalition formation with gunfire. Running through the open despite the fact that the Taliban had successfully pinned down the rest of his men, Golsteyn looked like he “was alone fighting 30 enemy fighters out in the poppy fields.” He then coordinated airstrikes from F/A-18 Hornets and a drone, silencing the enemy. The battle lasted four hours. 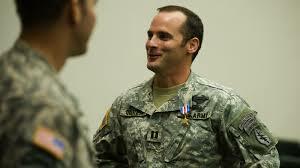 For his actions, Golsteyn was awarded the Silver Star, and was told that the medal would likely be upgraded to the Distinguished Service Cross (the Army’s equivalent of the Navy Cross, and second only to the Medal of Honor) after review by the Secretary of the Army. I can confirm that this was true because I was present at the ceremony where Golsteyn received his Silver Star, and personally overheard Lieutenant General John Mulholland, then the commander of the Army’s Special Operation’s Command, say that an upgrade was under consideration. In fact, I know Golsteyn—now a major—well. I served alongside him in Marjah for months (though not on the 20th of February—I was among the thousands of Marines fighting elsewhere in the district that day) and can attest that he is one of the most courageous, dedicated, and honorable officers I encountered during my service in the military. He would give his life for the men he led without a moment’s thought—and he very nearly did, on several occasions. When we returned from our deployments and honors began to roll in for Golsteyn, I reflected that it is nice to see the good guys get recognized. It didn’t last long. In 2011… I learned that the Army had launched a criminal investigation into his actions during the battle…. The revocation of an award such as the Silver Star is extraordinarily rare, and typically would happen in the case of the recipient being convicted of a serious crime that in some way dishonored his service. But not only has Golsteyn not been convicted of a crime—he hasn’t even been charged with one. McHugh would not reveal to Hunter specifically why he was taking his action beyond submitting the innuendo that he was privy to “derogatory information” regarding Golsteyn’s record. What could this information be? Who knows? 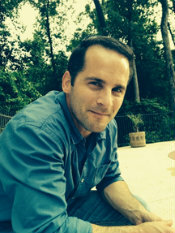 Having, according to Hunter, spent years threatening Golsteyn’s men, searching for and failing “to find one piece of evidence to corroborate the allegation” that launched the investigation, the Army clearly decided to punish Golsteyn anyway, through publicly dishonoring him in a manner that allows him effectively no recourse or due process…. Such is the quality of American military leadership that generals and political appointees like McHugh will send courageous soldiers like Golsteyn into incredibly difficult (some would suggest impossible) circumstances, then invest years in second-guessing their actions after the fact—and then, finding no evidence of wrongdoing, still publicly dishonor the man without giving him a chance to defend himself. Never mind the fact that if a Taliban bombmaker did in fact die in a violation of the rules of engagement, then in what topsy-turvy universe is that a bad thing?.. In any event, if the Army truly does believe that Golsteyn violated the Uniform Code of Military Justice, then they should charge him with a crime. If they can’t do that, then we must conclude that insufficient evidence of a crime exists, in which case Secretary McHugh should give him the Distinguished Service Cross he deserves…. Golsteyn, Swenson, Gant, and others like them are led by men who interrupt their political intrigues and email flirtations with wealthy socialites only to crucify the troops actually doing the fighting when, for whatever reason, they become politically inconvenient—preferably, as with Golsteyn, in a manner that allows for no response or appeal. Most Americans would take one look at Golsteyn’s record of service and call him a hero. The men who will not share Golsteyn’s risks, but who will hurl innuendoes at him after the fact and publicly dishonor him in a manner that allows him to mount no case on his own behalf? There’s a word for them too: cowards. How many ways can you say disgraceful? Perhaps the new ROE’s should just include surrender. Pffft. 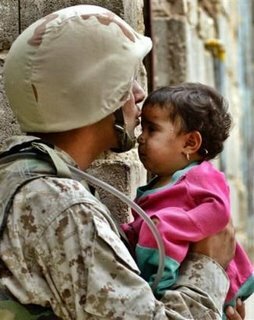 Unlike our PC pathetic so called “Commander in Chief”…our Soldiers, Navy, Marines are the ones who see a clear line between Good and Evil. This lack of gratitude should not go unpunished. 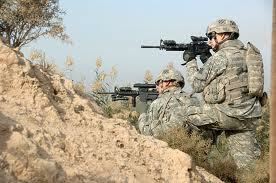 And…Unlike the dhimmi Congress members, our soldiers actually ahem…work. Their sacrifice, self-discipline, and personal responsibility is unparalleled. 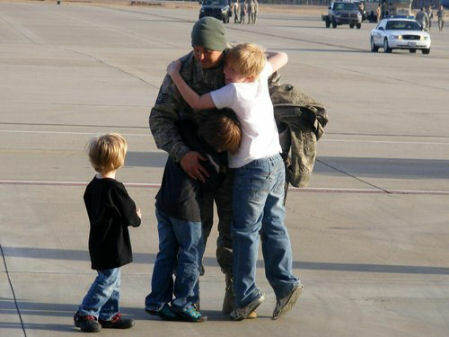 As y’all know, I have worked with soldiers returning from Afghanistan and Iraq, and trust me Sweet Friends…Whether they fly, march or sail….They got our back. Perhaps someone needs to remind the real “cowards” who demean our heroes that FREEDOM AINT FREE. 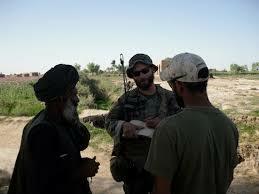 God bless you Army Major Matt Golsteyn. Hang tough. Your true allies have your back, as they apparently always have….. This entry was posted on Sunday, February 8th, 2015 at 10:08 am	and is filed under U.S. Military. You can follow any responses to this entry through the RSS 2.0 feed. Both comments and pings are currently closed. The world has gone mad. Mad I tell you. This injustice really pisses me off. Yes it does. Keep up the good work Angel. We are both on the same page. We feel more powerless than ever trying to fix something like this. The major problem is the people we elect are as spineless as our supreme Golden Pant Load in charge. One may recall the DoD investigation of the Haditha Marines … all of whom were “investigated” for war crimes. In spite of the investigation an courts-martial that went on for several years, not a single Marine received a conviction for war crimes. The battalion commander of these Marines received a similar fate: charged with negligence, a court-martial acquitted him of those charges. 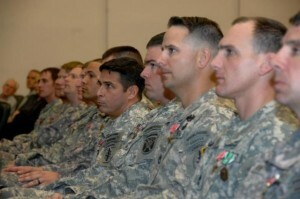 LtCol Dooley relieved of his duty for teaching the truth about Islam at the Army War College. A lieutenant convicted of murder for shooting a Taliban. And now this. What appears to be going on here is a concerted effort by the Obama administration to destroy the United States military. Who in their right mind wants to serve a country whose government treats them so horribly? So let me get this straight if Mr. American Sniper was to have had his uniform buttoned in a way not accepted by the Army…he would have been punished???!!! You know what Angel…my take on the issue..I would ask Mr. Goldsteyn to return his Medal and pass on anything this Adminstration has to offer..
Perhaps stick it …………on the POTUS.. Heroes don’t need awards to be Heroes…. Man, are you KIDDING ME? And NO CHARGES? Is this guy taking it sitting down?? Is anybody fighting for him? Oh, man, Angel, the world really IS UPSIDE DOWN! Gad! This Obama regime is something else! I wonder how morale is in today’s U.S. military. Unbelievable! Thanks for posting this Angel, even if it did tick me off. God Bless our soldiers. Another effort to demoralize our brave men and women.. They hope that it will get to the point that few will be willing to volunteer. Yes, so transparent. This is sure one time.